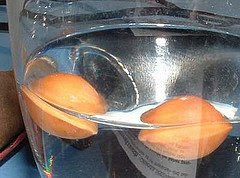 Two Ginkgo seeds, soaking up water to stimulate germinating afterwards. Photo by Gartnerin. More photos here.